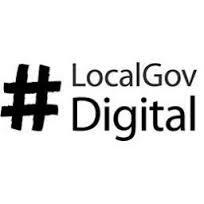 LocalGov Digital today launches its free Usability Dashboard, enabling councils to gather feedback from peers and the public on tasks across their websites. Launching last Tuesday, the dashboard allows councils to sign up any number of tasks across their websites and digital practitioners or members of the public to carry out simple tests and provide feedback on these. Through crowd-sourcing the usability testing councils can gather an objective view of where improvements to the user experience are needed. The Dashboard has been developed as part of the ‘Makers’ work stream (covering Content, Design and Development) of the LocalGov Digital steering group. It is lead by group vice-chair Phil Rumens, Web Development Manager at West Berkshire Council. Get the FREE LocalGov Digital Content Standard – a style guide and content quality checklist.